And as of yesterday, no more. While not so apparent to most, I am well aware that I have indulged in more than my fair share of ice cream over the summer. Refined sugar has always been my nemesis, the one thing that always trips up any balance I try to achieve on the scale. A co-worker and I pledged to say no to all sweets, treats and everything in between until November 1. If we slip up, the penalty is chugging a litre of water. It’s more difficult than you might think. Though that said, I already have two exceptions to make during that time and I’m fully prepared to get my chug on. This is where you come in and help. Tell me some of your favourite sugar-free snacks so I can take the edge off from time-to-time without indulging in the devil’s condiment. Actually, most grocery stores have a whole line of sugar free sweets. For example, SuperStore has a bunch of low-carb/low-sugar chocolates and what-not. Purdies also has a line of “No Sugar Added” treats as well, so you can grab some of those. Most of those treats use sugar alcohols, which are only partially digested. The good news is they’re way better for you than normal sugar. The bad news is that if you eat too many they have a laxative affect. How about 99% cocoa chocolate by Lindt? If it has any sugar at all it’s very minimal and you can’t eat more than a tiny piece at a time because it tastes so strong. oh, also, a can of chickpeas, drained, rinsed, dried with a tea towel, and then tossed in 2 tbsp of tahini and a dash of cinnamon, baked at 200 degrees C (400F) in the oven until golden-brown and crispy, about 45-60 min, makes for some nice healthy snacking. I usually add a bit of salt for a bit more flavour. oh… cadbury flakes are my weakness… particularly when stuck in the top of a soft serve cone. yum. for healthy snacks though I freeze grapes and blueberries and munch them like candy. I think grapes actually taste better when frozen. Dried mangos are delicious too. I would definately go with Fiber 1 bars. They are ALMOST as good as eating a chocolate bar . The oats and chocolate ones are delicious while the oats and caramel ones are pretty sweet…. Both are packed full of fiber (5 grams per bar!) They aren’t exceptionally low fat or low calorie but the extra fiber makes up for it. Since you are asking for some advice I will offer some. This sounds to me, like the beginnings of developing an eating disorder, and I mean this in the kindest and most compassionate way. You might want to explore eating disorders, perhaps see a counsellor about it, get a professional opinion, check out pro-ana sites, google, get a book, etc. You got your “forbidden” foods, your anxiety about gaining weight (body image), your punishment of drinking a litre of water… it’s hard to do, because your body doesn’t want a litre of water in it all at once. You have your friend/co-worker involved and who knows what her relationship is with food, she might be bulimic for all you know, and this is sounding a little competitive. One thing I know about pro-anas is that it’s all about competition amongst themselves, it’s very unhealthy and dangerous! There is absolutely nothing wrong, or unhealthy, to enjoy sweets. From the looks of the photos it looks like you enjoy high quality, homemade, sweets, and there is nothing wrong with that! I suggest you NOT chug a litre of water as punishment for indulging in something with sugar in it. I think a better idea would be to go ahead, have a cookie, or cupcake, and while you are eating it, do so mindfully, noticing everything about it; appearance, taste, texture, aroma, and, listen to how your body feels about it, when it’s in your stomach. Is there any digestive discomfort? Stop eating when you feel your body doesn’t want anymore, even if your mouth is wanting more, or if you notice it doesn’t actually taste that great. 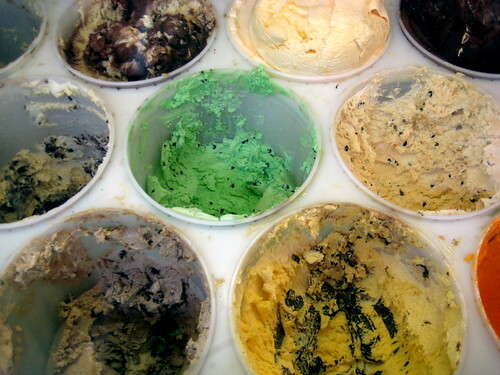 Notice the difference between Dairy Queen ice cream and homemade icecream (gelato shops have those). 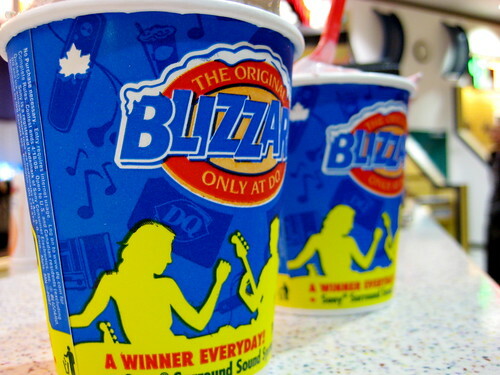 DQ Blizzards taste chemically I’ve noticed. Believe me, you don’t want to encourage an eating disorder, even if it’s mild, it just zaps the joy out of life, take my word for it. Unfortunately our culture loves to mess around with our body image, our diets, and exercise because people can make money off it. We’re obsessed about weight! People get crazy around food, I don’t know why! Anyway, hope this helps, and leads you to a path of joy, happiness, and self acceptance. Cinnamon is always good to curb sweet cravings!! I also suggest sugar free fudgcycles from safeway! they are surprisingly delicious!!! I am the the other half of the SUGAR-BAN duo!!!!!! Down with sugar! I need to get on track as well so I am going to join you in your pledge. The only two items I will eat besides fruit to curb my sweets craving are Curves bars and Bran bites…at least they are low in calories and have a very high fiber content. Lets keep each other accountable! @Compassionator – While I can appreciate the considerate concern you’ve offered, I don’t feel it’s relevant to this situation. Perhaps I should have – and could have – elaborated further on just why I am banning refined sugars from my diet. While I think it is a healthy mind-set to enjoy a treat or edible reward from time-to-time, for some people doing so can be a slippery slope. I am one of those people. For me, refined sugars have become an excessive daily part of what I eat. Refined sugars are very unhealthy, and our bodies get sugar naturally from eating fruits, drinking fruit juices, honey and other sources. An abundance of refined sugar can cause Type II diabetes, and this is a condition that runs in my family. Avoiding excessive sugar intake for this reason alone is worth it. Different bodies react differently to sugar, and mine literally packs on the pounds when I’m overindulging in refined sugars. Similarly, when I shed the sugar, I shed the weight and lean out. Weight gain, as we all know, can cause a whole array of health problems down the road including heart disease and stroke. Limiting sugar encourages an overall healthy feeling. In order to re-gain control of the amount of sugar I’m consuming, I need to regain control of this area of my diet. While I eat and maintain a balanced diet on a daily basis, banning refined sugars and sweets entirely is the only way I know my personality will accomplish control of sugar consumption. If you give me an inch, I’ll take a mile, so it’s best to not even peer into the cookie jar, so to speak. Chugging a litre of water as “punishment” for cheating on my pledge is appropriate because it not only acts as somewhat of a deterrent, water also aids in flushing the body of toxins and unwanted substances – including sugar. I know it’s not a sweet but I LOVE edaname (or however you spell it) you know, the soy beans with a bit of sea salt? Yum! I concur with Tales from a Bar Stool – dried mangoes are one of my favourite snacks. When I was in Vancouver I’d buy them in bulk from SaveOn. They were delicious, soft and chewy as opposed to tough and leathery, but I think they may have been sugared. If you look for look in a health food store for the sun-dried version those should be unsweetened but will be much tougher. I, too, have made the effort to avoid refined sugar since I am pre-disposed to developing diabetes. It’s amazing the difference and worth the insane amount of effort to eat foods without sugar already in the ingredients. I look at it as “changing your relationship with food” and in our lives, we are constantly re-negotiating relationships with people, etc. so why not food too? I recommend, as it was recommended to me, the book “The Thrive Diet”. It’s written by Brendan Brazier, an athlete (Ironman-type crazy person) and while I am no such person, I do partake in bike touring so I wanted to learn how to fuel my body for such adventures. He spends some time discussing sugar and provides yummy recipes for you that avoid white flour and yukky weird processed foodstuffs. There is a nonessential amino acid called L-Glutamine that you can take as a suppliment. Not to worry, there are no side effects and you don’t have to be a body builder to take this because it occurs naturally within our bodies. Glutamine has many health benefits such as maintaining the immune system, aiding gastrointestinal function, reducing anxiety, as well as (drum roll please…) suppressing sugar cravings. I know you are veggie and since the main sources of it are from meats and dairy, it’s something that you should be taking anyways. As a fellow sugar junkie (ANYTHING chocolate as well as crumble deserts) trust me, this helps. Talk to Rick at Body Energy on Davie (between Gannville & Howe) he can probably suggest a few other ideas. Wow, interesting responses to this post! I’ve been staying away from sugar since March…some days I still really have to work the willpower, but for the most part I find that it’s gotten much easier to just say no. When I’m craving something sweet, I opt for a piece of fruit and that usually does the job. The one indulgence that I haven’t completely let go of yet is Diet Pepsi/Coke Zero- I don’t drink it all the time but it’s the “treat” that I allow myself…sugar free but definitely not good for me. I really have to let that one go one of these days. 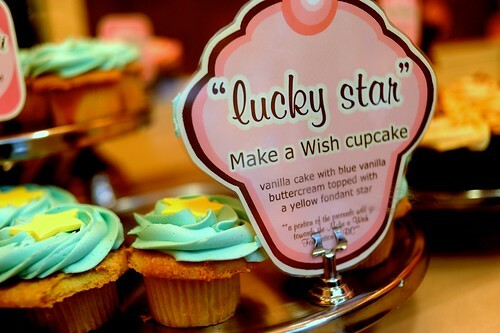 I just hope that you don’t turn to imitation sugars to cure your cravings. Frankly, I’d rather have something with sugar in it rather than the chemical makeup of diet products. Maybe that’s just a personal preference, but I’m willing to bet there is some study to back up why substituting isn’t a good plan. Frozen berries are also my go to..
And while it’s not for everyone, a glass of good organic milk seems to cure a lot of cravings for me. i need to do this….baaaaaaadly. i like berried and veggies with dip. also, a small ball of granola with a banana cut up in it and a little bit of maple syrup is good. I think you are a young, slim attractive woman who seems to have loads of discipline so knock yourself out once in a while. Not putting this on you, but I wonder as women how many hours, days, months we’ve spent obsessing about our weight. It is seriously bizzare when you think of it. What drives me nuts isn’t that people should be on the slim side to be healthy, sure, what bugs me is how there just doesn’t seem to be a middle ground. Models are anorexic or ‘plus’ size (16). What about the rest of us that are size 8-10? This is the average woman – neither of the others are. It seems we are lost in the skinny/fatty equation. Bizzare when you think of it. If designers marketed to us they’d be loaded. For once i’d love to see a woman that wasn’t a size 2 or a size 16 in a magazine. End of rant. Its seems these days life is all or nothing more and more. Look to Europe. They eat and drink each day. Portion control is the key. One more thing – why are those ‘feel good about yourself’ ads in women’s magazines constantly depict women on the too-heavy side (size 16+). Why not just normal – a roll or 2 and a couple of dimples? I cheated……it wasnt my fault as my family had this massive chocolate (xtra large Lindt) and they left it at arms reach of me….. I woke up this morning with a stomach ache. Now I dont want to touch sugar again as my body reacts badly to it apparently. Completely cut off from sugar isn’t too good for your body. The trick is to limit your intake not completely cut off from it. Having said that, for snack substitute you could always try fresh fruits. It is berry season afterall. I have this problem too. I have an AWFUL sweet tooth and feel the urge to indulge in sugary sweets every day. I have on occasion managed to curb the cravings if I can ban them from my diet for at least a week, then I stop craving them all the time and crave things like citrus and healthy stuff instead! 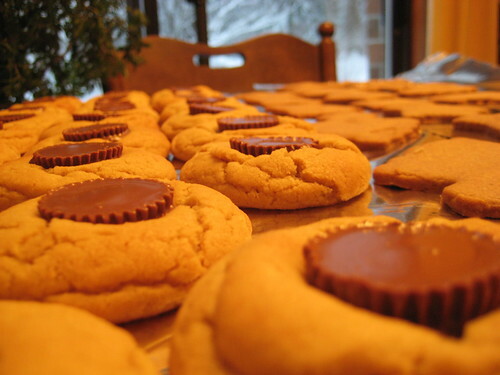 Is peanut butter on your list of banned products? If not, one of my favourite snacks is “ants on a log” – celery spread with peanut butter and raisins. It’s something I remember from when I was a kid and still love it to this day. Dried mangos (or whatever type of dried fruit you like) is a good one too, and I also often turn to veggies with some sort of yummy dip, or toast. @sparklytosingle – Nope, peanut butter isn’t on my banned list even though it contains sugar because it’s a source of protein for me. As a veggie, that’s crucial. However, I only have peanut butter maybe twice a week, so it’s not so bad. It’s just the things that are blatantly bad for me like cakes, ice cream, chocolate bars, etc. From what I understand medically, Diabetes ll is not caused by eating too much sugar. Diabetes is all about the functioning of the pancreas. Several factors contribute to developing it, the most important one being heredity, then lack of physical activity/lack of muscle mass, then obesity (not just over-weight), and possibly consuming too much high fructose corn syrup. Banning high fructose corn syrup might be a very good idea because it’s quite an unnatural sweetener and it tends to be used in junk foods because it’s so cheap. If you want to get turned off it, just watch the movie called “king Corn”. Also, as I understand it, the body sees no difference between sugars, whether they are refined white sugar, fruit, natural cane sugar, maple syrup, or honey,( with the exception of HFC), it all goes into glucose production which, btw, is the main fuel source for the brain. Fruit is a good substitute for desserts, as they provide glucose and they come with vitamins and anti-oxidants and even water. At this time of year, local fruit is in season and its tastiest. 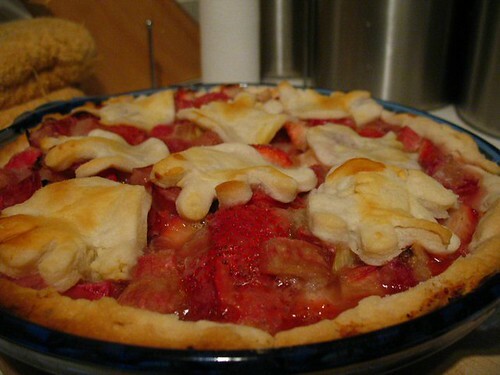 That said, there are some delicious and healthy recipes out there that really satisfy my sweet tooth without any sugar. One is a raw vegan dessert by Raw Rose, who is from the Comox valley. It’s the banana-lemon-poppyseed pie. It’s really good! The crust is made of pecans and raisins mashed together in a food processor, then topped with sliced bananas mixed with lemon juice, lemon zest and a sprinkle of poppy seeds. It’s really nice with a few berries on too. 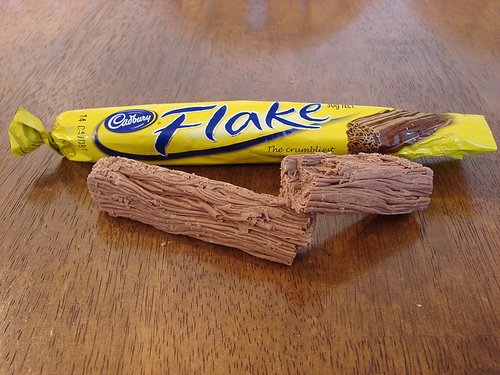 We do not have this “flake” in the United States! Bogus! It looks great.